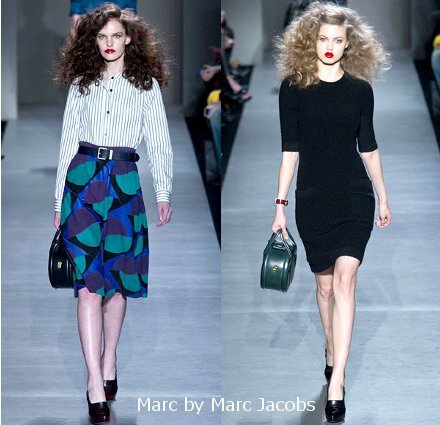 New York City’s Fall 2013 Fashion Week wrapped up last week, and I’ve since spent at least an hour combing through the slide shows at InStyle to find my favorite looks from the runways; the looks that will hopefully inspire my shopping for the fall. 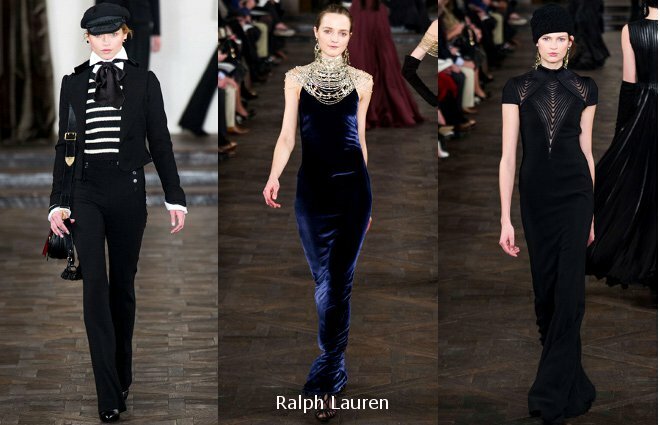 Four designers (Marc Jacobs, Tory Burch, Ralph Lauren and Oscar de la Renta) really stood out to me this year. The other shows gave me a little inspiration in the way of color, fabric and texture. The Prabal Gurung show was heavy on the military infusion with military-like cuts and colors. (Olive green figured prominently in the show.) I found one outfit from Jason Wu’s show to be inspiring, but his use of crimson and black, feathers and fur had a bigger impact on me. fitted top to the white floaty skirt and down to the black peep-toe booties. appealing to me. I adore the body-hugging cut of the dress on the right. pairing of the jacket, dress, tights and shoes. inspiration into my wardrobe, but I still love it! 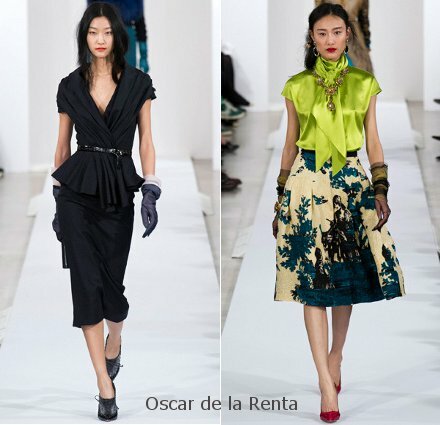 that I love the mixture of fabrics ine the look on the right. The bright colors are a bonus. Did you see any inspiring looks during NY Fashion Week? 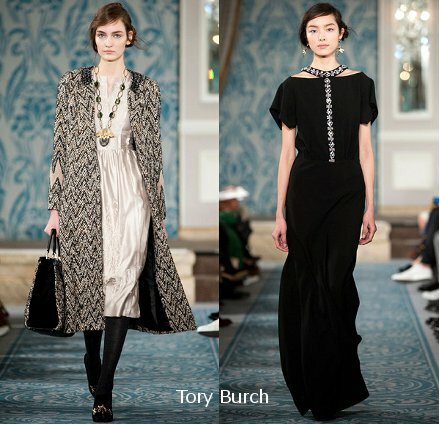 Are you excited to shop for fall? This entry was posted in culture and tagged Jason Wu, Marc by Marc Jacobs, New York Fashion Week, Oscar de la Renta, Ralph Lauren, style, Tory Burch. Bookmark the permalink.